Final round of voting for the F# logo is live! NYC based stealth F# start up Jet.com raised $20 million! Jet.com is looking for F# instructors in NY area. Vote if you like an idea “Add F# documentation for Azure SDK“. Ini file type provider was added to FSharp.Configuration. Using F# in C# Projects with Brendan Duffy. F# scripting for 3D geometry in the construction industry by Goswin Rothenthal. F# News – September 2014 with Jorge Fioranelli. Type Systems – The Good, Bad and Ugly by Paul Snively and Amanda Laucher. Evelina Gabasova presented “Introducing Ariadne: F# library for Gaussian processes“. Andrea Magnorsky posted “Converting a small game from C# to F# part 1“. Jamie Dixon blogged “Consuming Azure ML With F#“. Sebastian Good shared “Little Performance Explorations: F#“. Lincoln Atkinson blogged “Response to “Little Performance Explorations: F#”“. 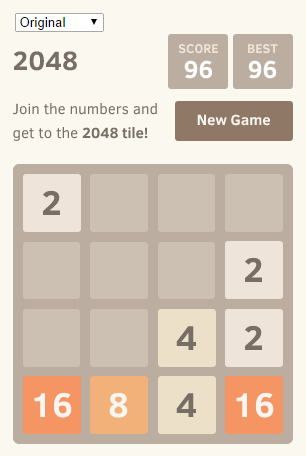 András Jankó posted “2048 game with F# + WebSharper“. F# – MS CRM Online Stress Test (±150.000 accounts/hour). F# – MS CRM Online Browser Performance Test. 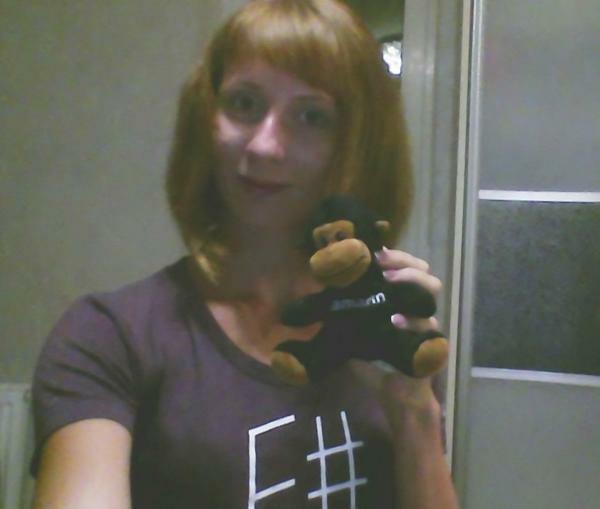 Christian Jacobsen posted “How to get a free Xamarin F# shirt“. Dave Fancher wrote “Musings on C#’s Evolution“. Joseph Hill published “Xamarin Evolve 2014 Speaker Spotlight: Rachel Reese“. Phil Trelford presented “FsiBot: Assorted Tweets“. Bernard Shoe published “Runge Kutta In F#“. 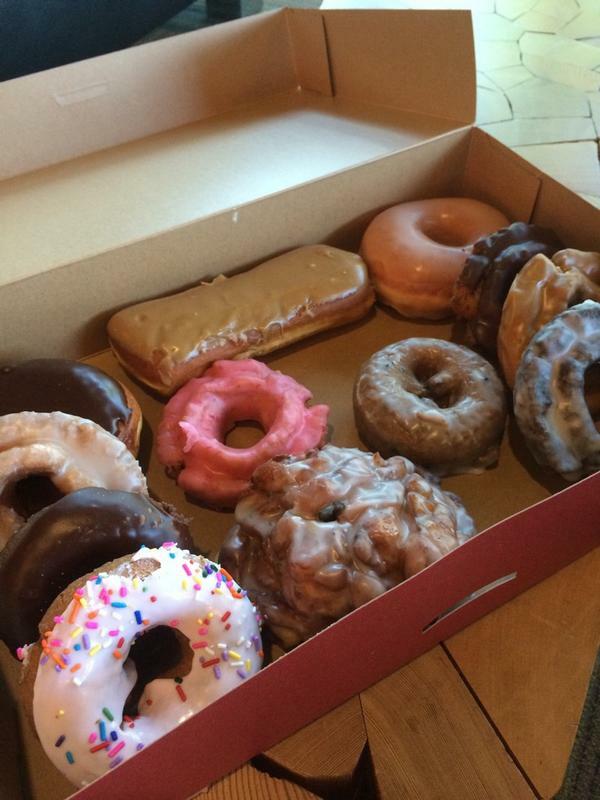 Mathias Brandewinder blogged “F# Coding Breakfasts & Lunches: let’s code together!“. Cameron Taggart posted “Generating F# code using its AST“. Online meeting was held – meeting notes were published. Interested in participation? Read more about how to get involved. “The F# Open Engineering Group: Goals and Remit” was updated. DRAFT of “Recommended Guidelines for F# Projects, Packages and Namespaces” was prepared. Please read and share your thoughts. Reed Copsey’s F# amendments to MSDN List<T> docs are now live! See Remarks and F# Examples. Don Syme updated status of F# 4.0+ Approved Language/Library Items. Don Syme‏ is looking for volunteers to work on this F# 4.0+ language feature: adding support for ‘fixed’. “improved debugger type proxy for map” by jackpappas. “implement windowed” by Patrick McDonald. “implement mapfold and mapfoldback” by Patrick McDonald. Automatically convert captured mutable locals into refs. Add “lengthBy” function to Seq/Array/List. CloudSharper v0.9.19.2 is out with a Browse panel to develop web apps live. Debian package: Accepted fsharp 3.1.1.26+dfsg-1 (source all) into unstable by Christopher James Halse Rogers. If you want to request new features for the F# addin in Xamarin studio please add them here. Mono v3.8 is out with shebang support for F# scripts. A new guide was added to fsharp.org – where to make suggestions, report issues and contribute fixes. *Wanted compiler hackers* to help work on adding value to F# Compiler services features. Latest TIOBE index just published, an F# firm at 14th place, best placed func language, been so for months already. Exciting discussions are taking place around Paket – a .NET dependency package manager. 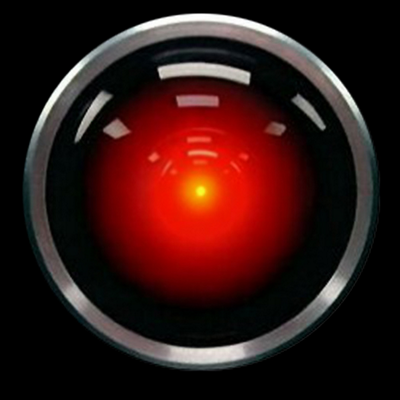 MBrace has a shiny new page with docs and tutorials. 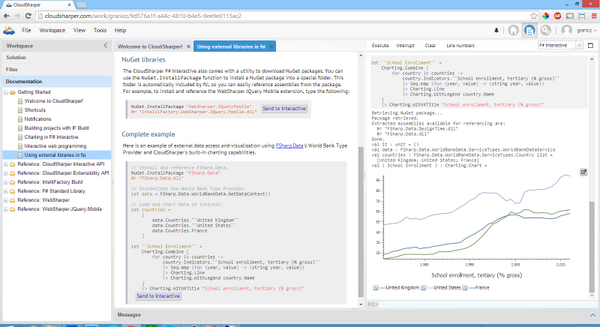 CloudSharper 0.9.17.1 is out with workspace-less F# interactive. New F# testimonial is up (from Microsoft Research intern Dylan Hutchinson). List of FsCheck users was published. WebSharper v2.5.124.61 is released with bugfixes and WIG improvements. More Algebra was added to FsUno Journey Log. FSharp.Data.DbPedia v0.0.2 (an F# type provider for DBpedia, allowing you to browse and query Wikipedia knowledge in a strongly typed way) is out. FSharp.Core.4.3.0.0.Microsoft.Signed v3.0.0.1 and FSharp.Core.Microsoft.Signed v3.1.1.1 are out. Proportion of IT jobs mentioning F# has halved since last year. Mathias Brandewinder is working on F# Twitter Bot. Philip David Harvey is working on F# binding autocomplete for SublimeText 3. If you would like to propose adding F# support to Travis, see the PR that they used to add support for Rust. ServiceStackVS now includes F# VS .NET Templates! Try latest version of FSharpLint tools. Don Syme wishes we could weight fslang.uservoice.com features by estimated cost, so voting for an expensive/intrusive feature uses up more vote please. Still some functions are needed from “F# 4.0+ library additions”. Some nice performance improvements to the F# compiler by @Codecutterman, by changing the default GC settings. Please comment on this proposal to add “chunkBy” to the list of FSharp.Core Seq/List/Array functions in F# 4.0+. Please review and maybe vote for this proposal to make Widget(X=abc) initializers more powerful. Please comment/vote on proposal about explicitly referencing FSharp.Core modules by full path. Please review Don Syme’s PR “class names as functions“. “implement *find*back methods” by Patrick MacDonald. 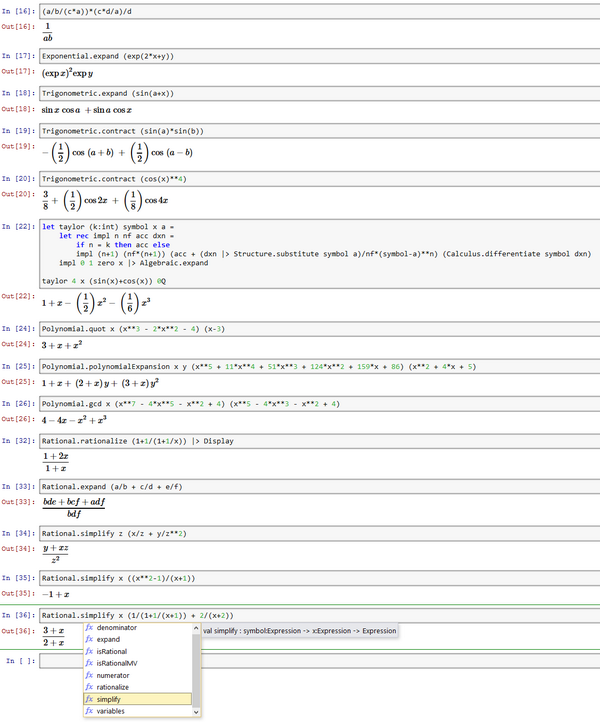 “optimization for for-expression” by Marten Range. “seq.tail and array.tail” by bogdangaliceanu. “extension property initializers” by EdwardPaul. “implement groupby (attempt 2)” by OkayX6. “implement mapfold and mapfoldback” by PatrickMcDonald. “Happily together: F# and SQL” with Dmitry Morozov and Dmitry Sevastianov. Code & slides from Tomas Petricek’s F# case study at ML workshop. FunScript HTML Extensions by Alfonso Garcia-Caro. “Coeffects: A Calculus of Context-Dependent Computation” by Tomas Petricek. “CUFP 2014: MBrace: large-scale programming in F#” by Eirik Tsarpalis. Yan Cui posted “F# – genetic algorithms to help you catch monsters“. Jamie Dixon blogged “Fun with Statistics and Charts“. Roopesh Shenoy presented “ASP.NET vNext: Custom Project Loaders and Language Support“. Simon J.K. Pedersen wrote about “Using SendGrid to Send Emails to Azure Queue“. 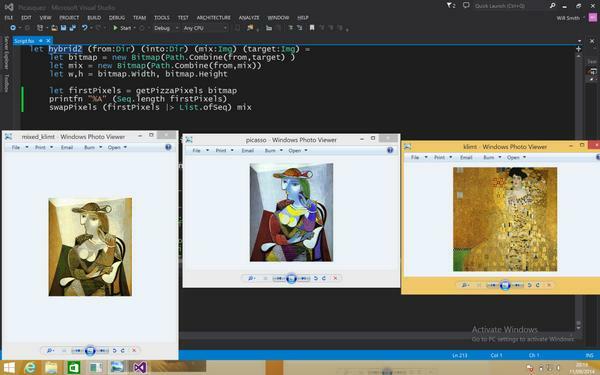 Isaac Abraham posted “Lightweight websites with F#“. 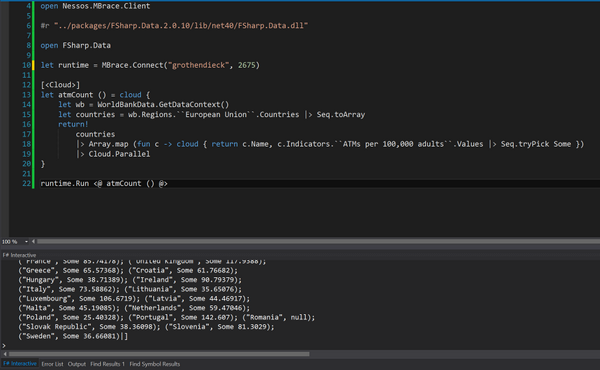 Andreas Willich blogged “F# Raw SQL Access“. Roopesh Shenoy wrote “Json.NET Updates: Merge, Dependency Injection, F# and JSONPath Support“. Ted Neward blogged “Fun with C#, Part 2“. Micah Smith posted “F# Azure Worker Role NLog Logging Setup“. Phil Trelford wrote about “TypeScript Mario“. Do not waste your time and jump in F# OSS development starting from Up For Grabs issues. Visual F# PowerTools v1.4.5 are published with fixes for annoying bugs on F# project system and unused opens. FAKE 3.4 is released with a HipChat notification helper, fixes to FAKE.Deploy, and some Xamarin.iOS and Xamarin.Android helpers. 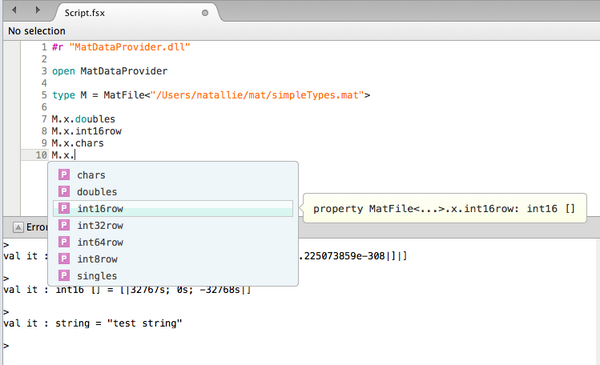 F# semantic syntax highlighting is available in Xamarin Studio! Reed Copsey, Jr. is posted an update on the F# logo project. Taha Hachana is shared “Creating Google Maps charts with FsPlot“. Check out the F# sessions at October’s SVCC. “Circular Calculations” is a new F# Coding Dojo from Liam McLennan. iFSharp Notebook v2.0.1 is released. Please take a look at FAKE script for Visual F#, try it and comment. “fix error message in set” by Jack Pappas. “F# Interactive freezes when printing values with very long lines” by Vladimir Matveev. “instruction identifiers should be marked as literals to help the compiler optimize code using them” by Jack Pappas. “change verifyseqsequal error message” by Patrick McDonald. “optimizer literals” by Jack Pappas. “perf. 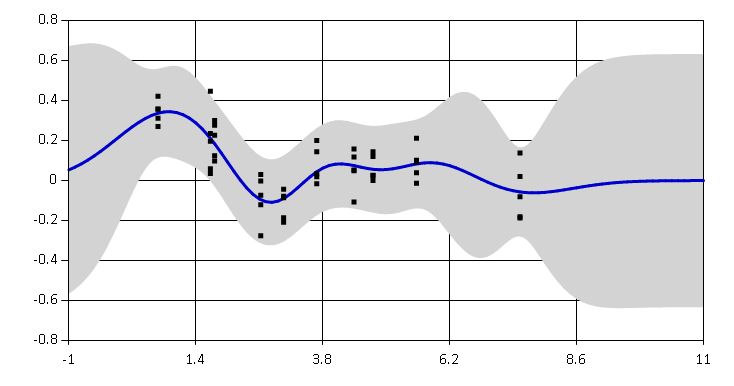 optimization – seq.toarray” by ReedCopsey. “change verifyseqsequal error message” by Patrick MacDonald. “implement seq.permute” by Patrick MacDonald. “fix message of warning fs2003” by esada. Mårten Rånge works on performance optimizations for F# expression. 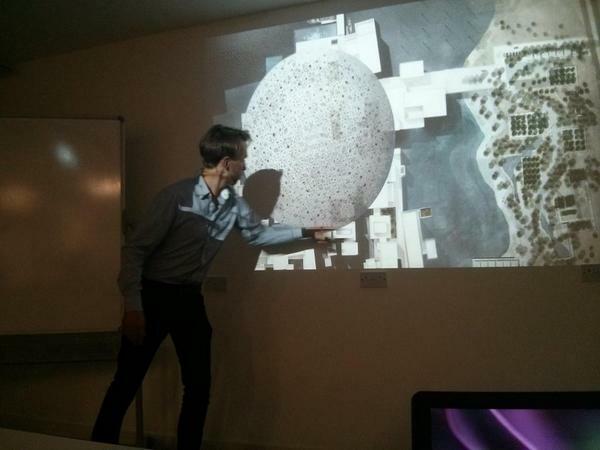 “FParsec Hands On – F#unctional Londoners 2014” by Phillip Trelford. “Write Clean Code using the Pipelining Operator in F#” with Jorge Fioranelli. “F# News – Aug-2014” with Troy Kershaw. Amir Barylko blogged “Acceptance Testing Made Easy with F# and Canopy Why acceptance testing?“. Mårten Rånge wrote about “Abstractions vs Performance, a compiler perspective“. Ryan Riley posted “Bundling and Minification with Web Essentials“. Larry O’Brien blogged “Xamarin.Forms Programming in F#“. Steve Link wrote about “Developing an ISeries Intranet Based LOB Application“. 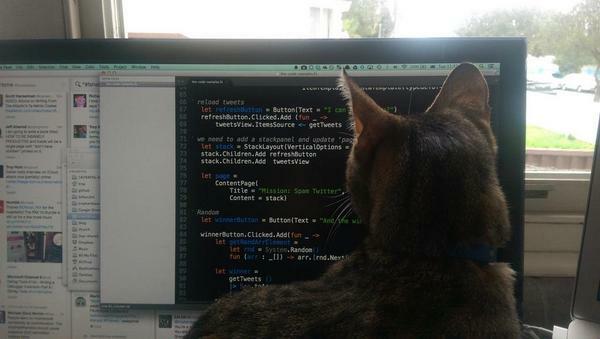 Karlkim Suwanmongkol posted “Trying numl on OSX with F# and Xamarin“. David Falkner blogged “Reason #714 that I’m loving F#: Discriminated Unions“. 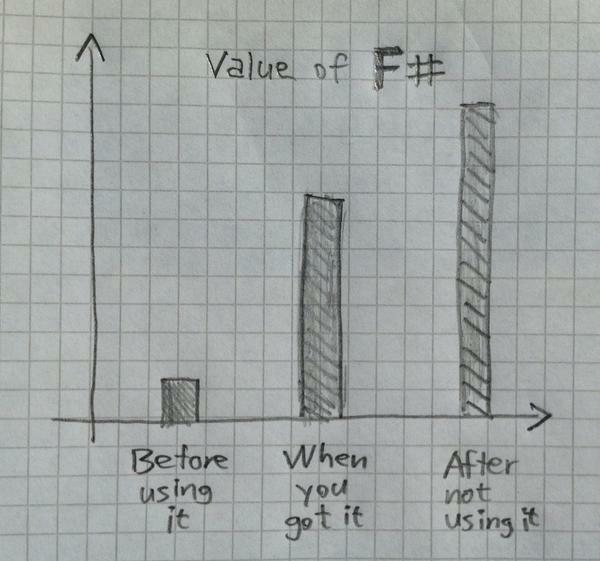 Andrea Magnorsky wrote “F#n and games“. Phil Trelford posted “FParsec Tutorial“. Alex Hardwicke blogged “Pattern Matching“. masuda wrote “最新の FsYacc/lex 環境で chulang を作成するときのメモ“. htid46 shared “F# のデバッグ方法 #fsharp“.